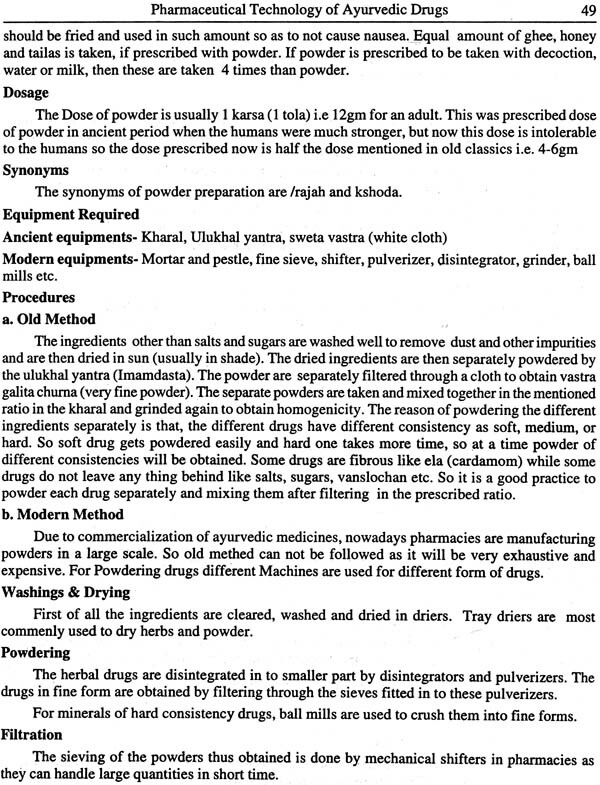 This textbook on 'Introduction to Ayurvedic Pharmaceutics' is a much needed handbook, with regard to the esteemed philosophy of Ayurvedic pharmaceuticals, towards drug discovery, development, pharmacological and pharmacokinetic studies, and above all the pharmaceutical engineering of various preparations together with their respective dosage forms. 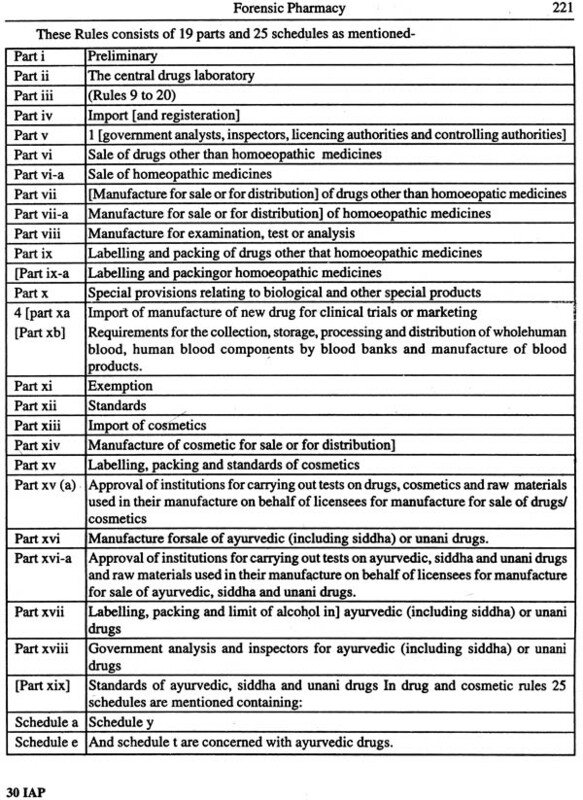 It consists of thirteen different chapters which cover up pharmacology of Ayurvedic drugs, their dosage forms as well as pharmaceutical techniques and instruments being used in most of the pharmacies. 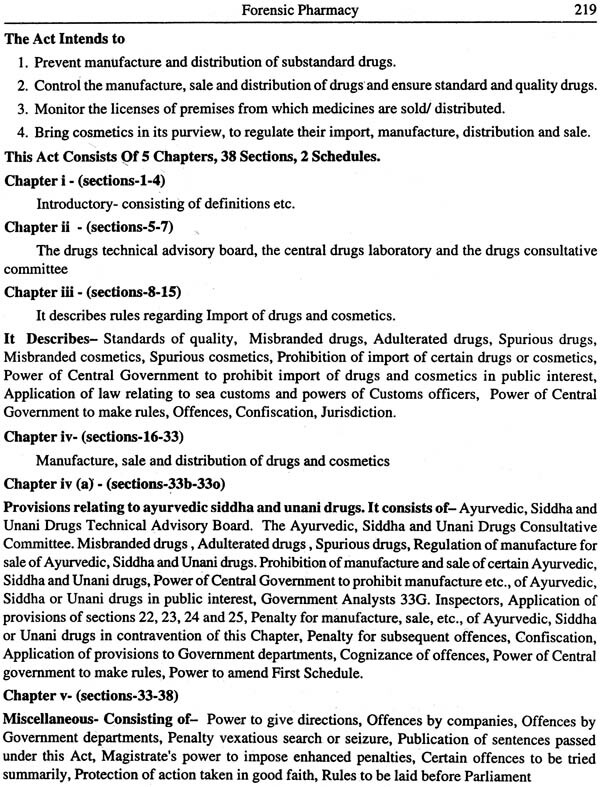 Each chapter categorically and explicitly deals with the introduction, theoretical aspect(s), instrumentation, pharmaceutical analysis, forensic pharmacy, photochemistry, pharmaceutical The textbook on 'Introduction to Ayurvedic Pharmaceutics' would enormously serve the undergraduates, postgraduates, researchers, pharmacists and analytical chemists working in the Quality Assurance Laboratories, new drug development, production and control, academic institutes, or regulatory authorities. The main objective of this book is to offer not only a handy textbook but also an intermediate level of coverage for the convenient preparatory methods and equipments necessary for pharmaceutical substances and their respective dosage forms wherever applicable. The contents of this textbook have been meticulously designed to provide fundamentals of various disciplines embodying Ayurvedic pharmaceutical science specifically for the under-graduate students as well as the post graduate students to a great extent. Pharmaceutical science in Ayurveda is the most ancient and most developed pharmaceutical science as well. The development of various preparations from Ahara kalpana (food preparations) to Ausadh kalpana (Medicinal preparations) have been described all over the ayurvedic texts. Ayurvedic medicinal preparations have taken all these thousands of years to what it is at present. Today according to the increasing demands of these drugs, new technologies are being adopted for preparing the drugs to meet the demands. 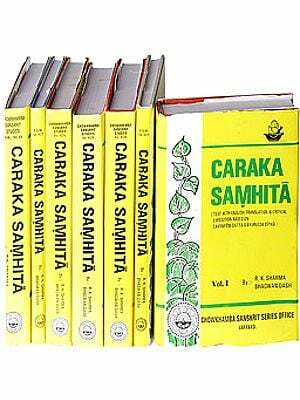 This book is a commendable work in providing knowledge to ayurveda scholars about the modem as well as ancient technology of ayurvedic drug preparation. 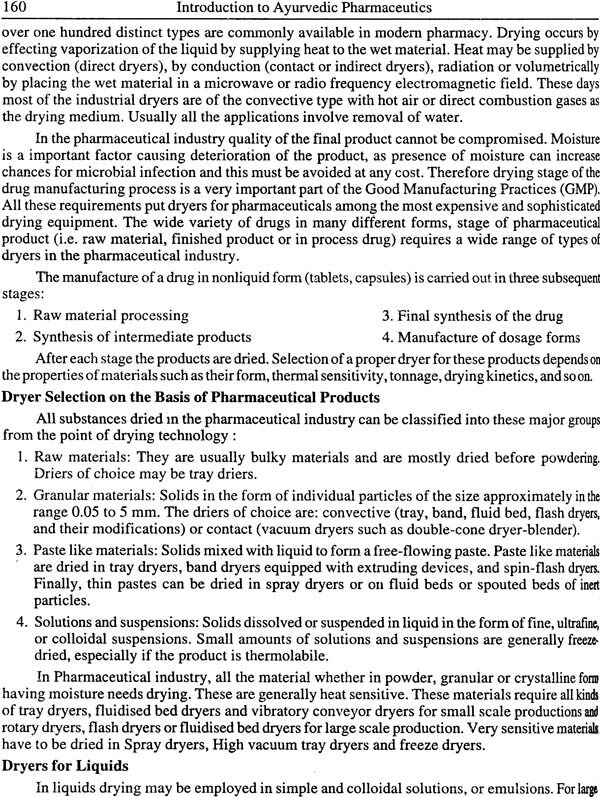 All the ancient and modem drug dosage forms are described here with their relevancy. Scholars of ayurveda will get immense help by getting the knowledge about the modem instruments/machineries and manufacturing techniques of ayurvedic drugs. 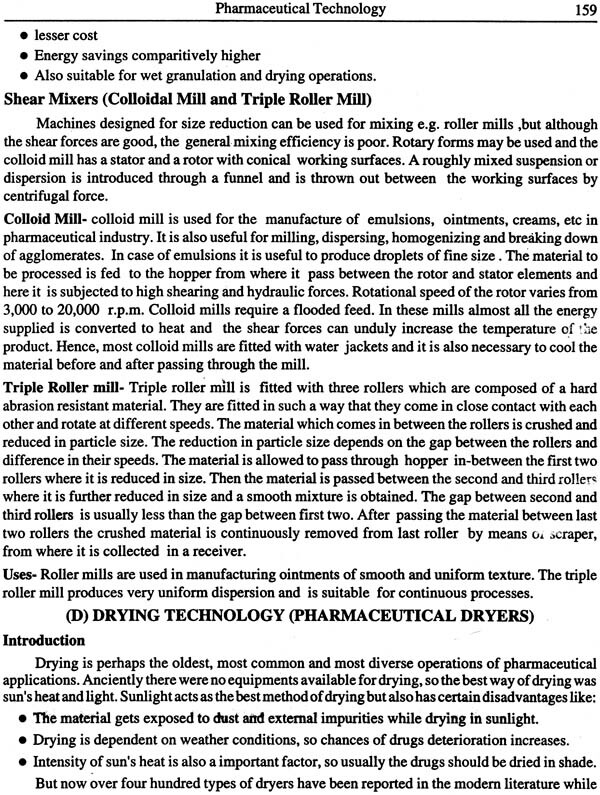 The book is written in very easy language so that all the students could understand the pharmaceutical technologies with ease. Apart from this, the book also provides knowledge of laws regarding pharmacy, pharmacology of ayurvedic drugs with concepts of ayurveda, Pharmacodynamics and pharmacokinetics and phytochemicals as well, which would be very beneficial for the students. I wish Dr. Devendra Joshi and Dr. Geeta Joshi all the best for their commendable work. 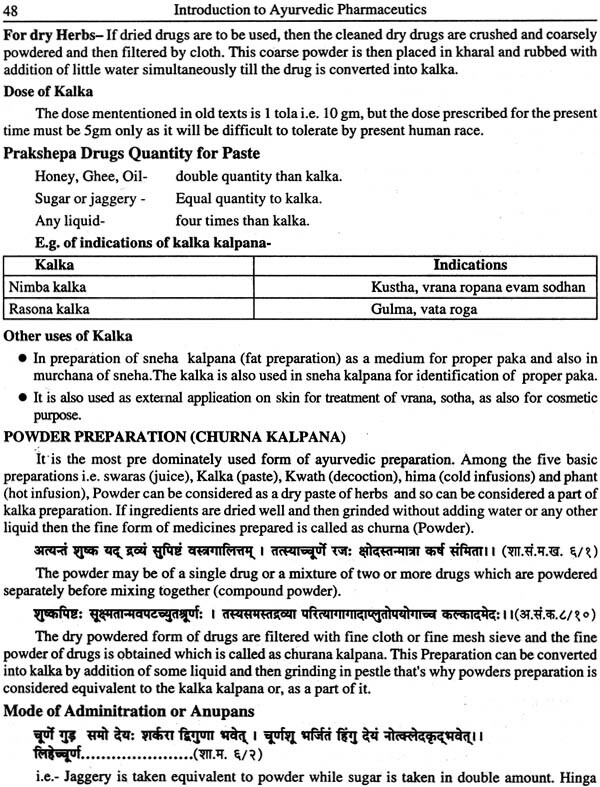 Indian pharmaceutical science, that is Bhaisajya kalpana has a long history since vedic period. 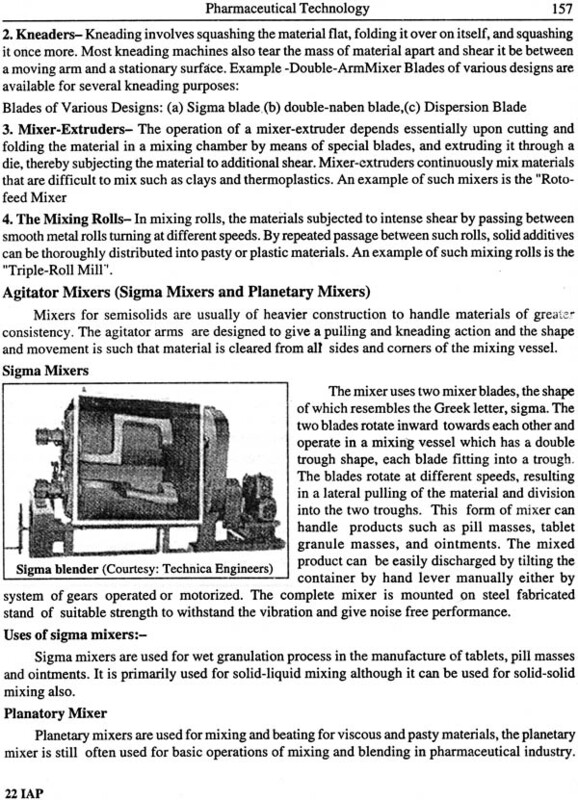 The ever expanding and broad horizon of all Pharmaceutical Sciences invariably emphasizes one cardinal aspect that basically they are nothing but 'Applied Sciences.' With the advent of new drugs preparation it has become absolutely necessary to keep this science in pace with modern period. 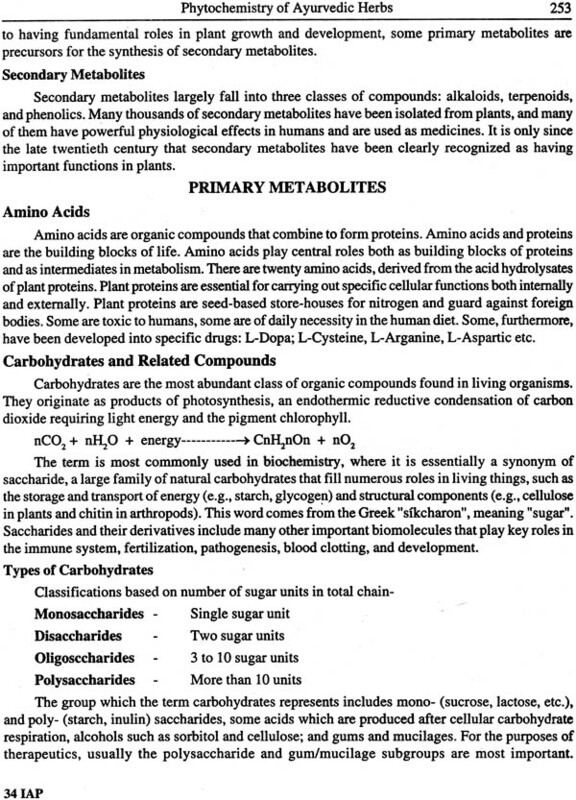 With time and new researches in the field of ayurveda this pharmaceutical science has also progressed. 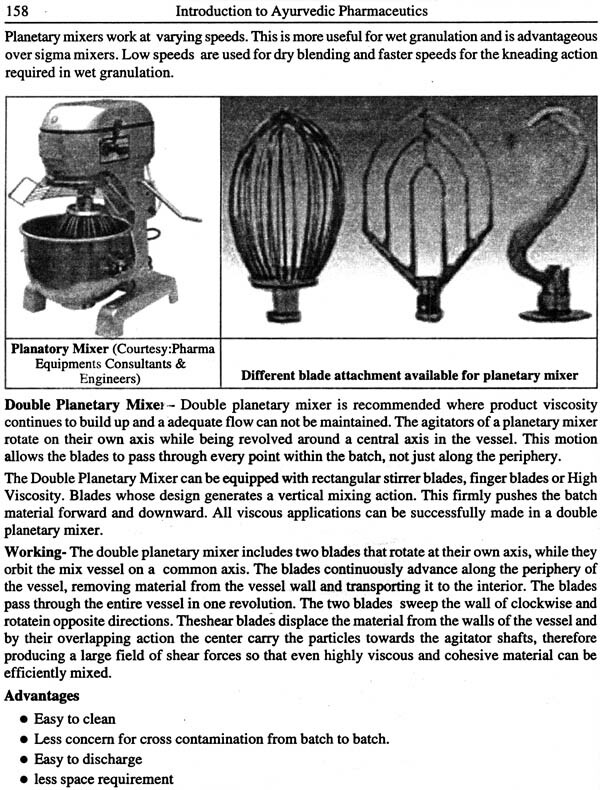 In the modern era it has its own significance and a lot of new preparations have been developed. 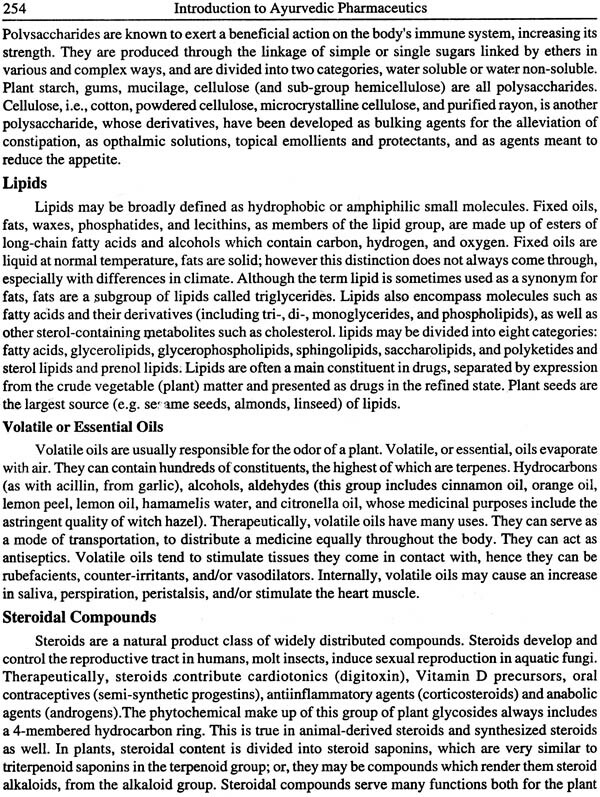 The present textbook on 'introduction to Ayurvedic pharmaceutics' caters for the much needed handbook, which is absolutely current with regard to the esteemed philosophy of ayurvedic pharmaceuticals, an obvious solid support towards drug discovery, development, pharmacological and pharmacokinetic studies, and above all the pharmaceutical engineering of various preparations together with their respective dosage forms. 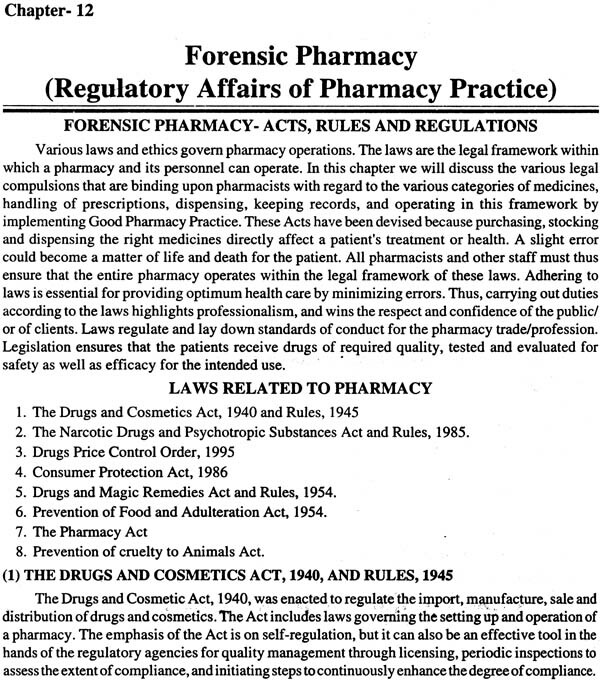 The thirteen different chapters invariably cover up pharmaceutical techniques and instruments being used in most of the pharmacies. 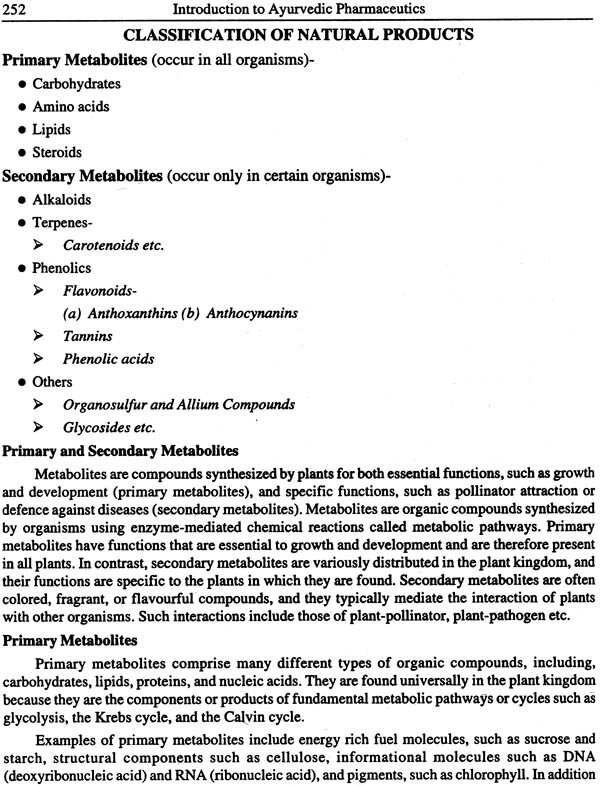 Each chapter categorically and explicitly deals with the introduction, theoretical aspect(s), instrumentation, pharmaceutical analysis, forensic pharmacy, phytochemistry, pharmaceutical processes and dosage forms. 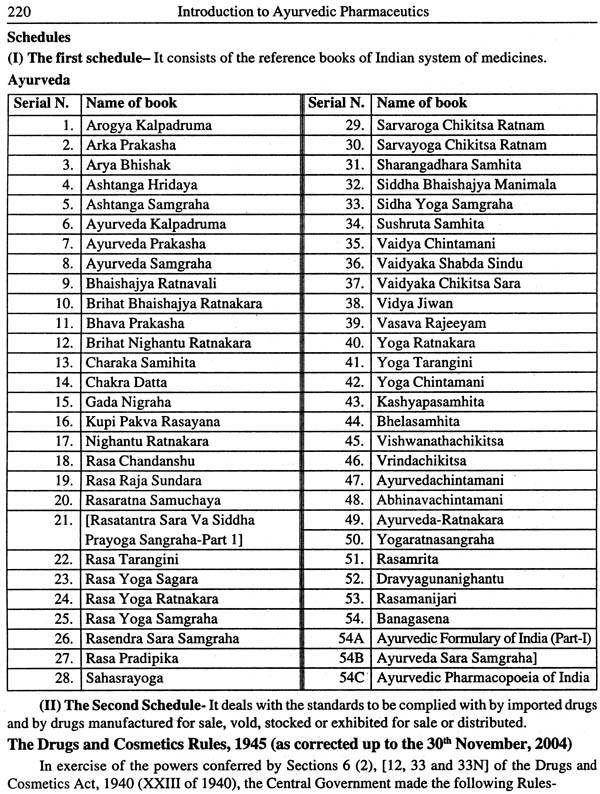 The textbook on 'introduction to Ayurvedic pharmaceutics' would enormously serve the undergraduates, postgraduates, researchers, pharmacists and analytical chemists working in the Quality Assurance Laboratories, new drug development, production and control, teaching, or regulatory authorities. The main objective of this book is to offer not only a handy textbook but also an intermediate level of coverage for the convenient preparatory methods and equipments necessary for pharmaceutical substances and their respective dosage forms wherever applicable. The present copious textual compilation of Information is solely intended to narrow down the apparently wide gap existing between the available basic texts and the pharmaceutical methods being carried out in pharmaceutical industry. 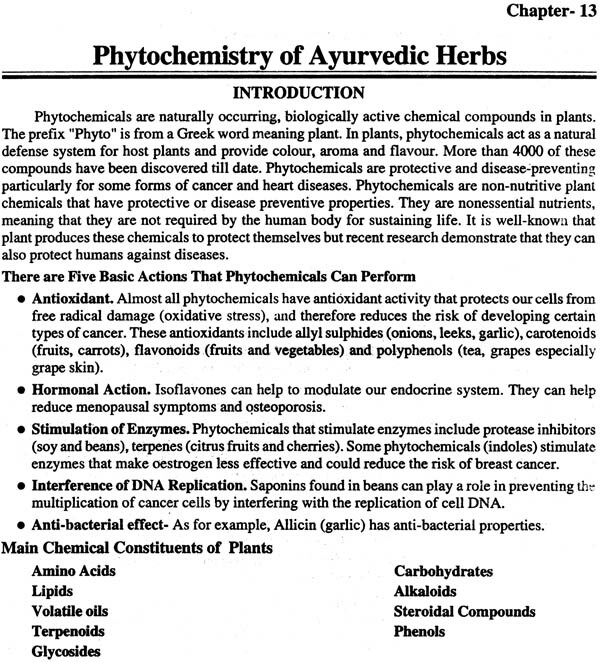 The contents of this textbook have been meticulously designed to provide fundamentals of various disciplines embodying ayurvedic pharmaceutical science specifically for the under-graduate students. It will also be useful to the post graduate students studying modern methods of pharmaceutical analysis to a great extent. We take this opportunity to express our profound gratitude and deep regards to Ms Arushi Pokhriyal, the managing director of Himalayiya Ayurvedic medical college for providing us the right atmosphere in college for carrying out the work without which the project would not have been possible. We also thank her father and former Uttarakhand Chief Minister shri Ramesh pokhriyal Nishank for his blessings. We are also obliged to Dr. Chandra Bhushanjha H.O.D. Rasa shastra and bhaisajya kalpana dept BHU and Dr. Meena Ahuja HOD Rasa shastra and bhaisajya kalpana dept (Rishikul State Ayurvedic PG College, Haridwar) for their invaluable advices and blessings. We express our deep gratitude to Dr. Sudhir Sharma HOD panchkarrna Dept of Himalayiya Ayurvedic medical college, Dr. santosh singh from Govt. Ayurvedic College Bareilly ,Dr. Navinjoshi, Dr. Ashwin Bana, Dr. Mayank Bhatkoti, Dr Kanu Ohri, Dr. Vikas Bhatnagar, for their unconditional love and support. Last but not the least we express our deep gratitude to Mr. Atul Gupta ji ,Chaukhambha Orientalia, Varanasi for his kind support to make this work successful.